18,000 square-feet of motorsport, video production, distribution center, customer pickup, and community center expansion. There's something big coming to Milford, CT in 2019. How big? 18,000 square-feet big. We're knocking down walls (quite literally) and undergoing an expansion into the raw, vacant space next to our current Milford, CT headquarters for a much-needed expansion with one focus in mind - our customers. The photo above shows the new and improved Customer Pickup Center, which will house a 24-hour Amazon locker-styled service so that customers can drop by to pick up parts according to their schedules, not ours. 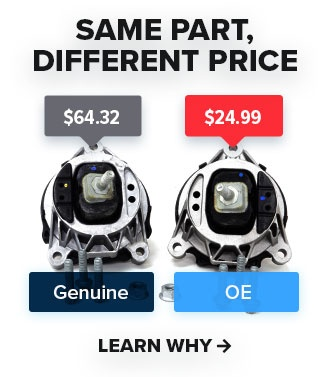 Ever since we launched the in-store pickup feature on our site last year, we've been inundated with customers dropping by to pick up parts, and we'll encourage that option even more with the expansion into the new space. 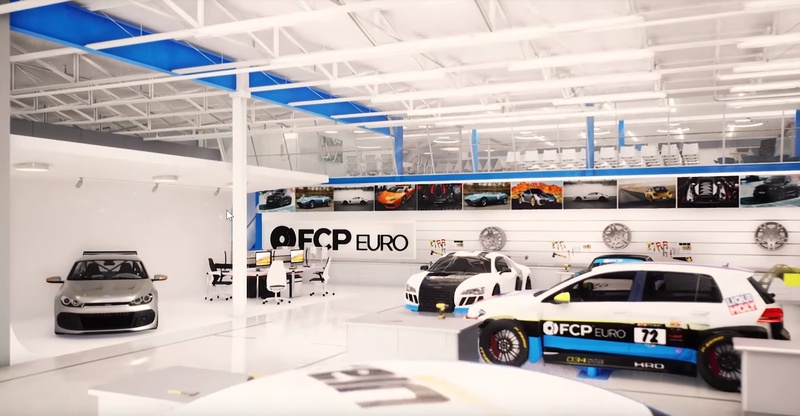 We'll also have a dedicated merchandise area, where customers can shop all FCP Euro memorabilia, including shirts, stickers, bags, and more (drop a comment below if you have any wants/suggestions!). 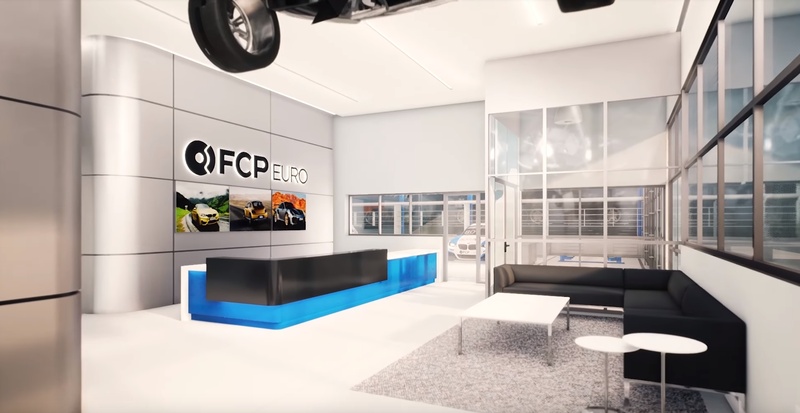 If you've been paying attention to the Inside FCP Euro series on our YouTube channel, you've probably seen how our shelves are stocked from floor-to-ceiling with high-turnover, high-quality parts. What you may have not noticed, is the lack of space we actually have surrounding those shelves. Even though our current facility is vast, we simply cannot keep up with our sales growth and therefore need to expand our Distribution Center real estate to support the volume. 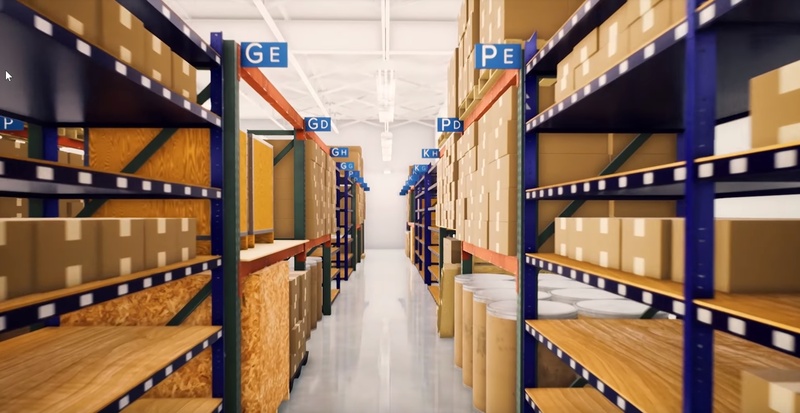 In our new facility, which will be directly connected to our current space, we'll have more room for more parts for more sales, and faster delivery times for our customers with more parts in-stock at any given time. It's a win-win across the board. Speaking of growth, our employee count has doubled in the past 24 months. You should see our company meetings. What used to be an adequate spot for all employees to congregate and converse, is now the equivalent of a sardine can, to which we all have to pack into. The expansion in 2019 will address that, too. 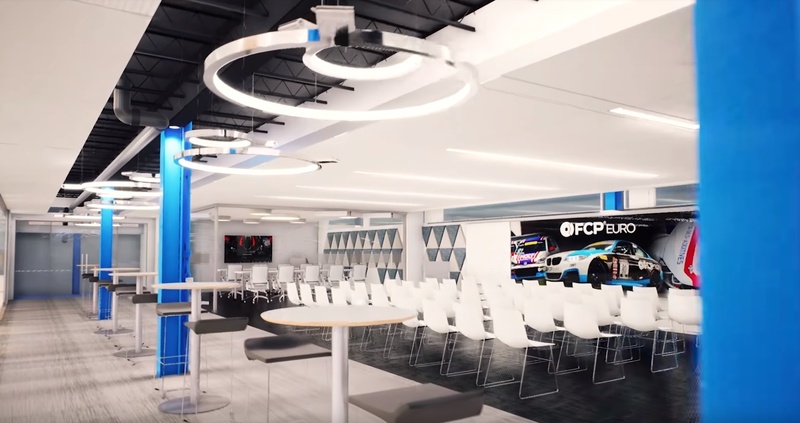 Using a completely custom, configurable layout, we're able to accommodate 100+ people for company meetings, or to offer it up to local groups and car clubs as their own meeting space. Even though this space has walls, a roof, and door locks, we truly want it to be as open and as accessible to the local community as possible. Order a part, pick it up, hang out, even take a lap or two on the simulator. That simulator I mentioned will come in handy for our Motorsport team, which will have a fully-functioning facility to build, service, and maintain our fleet of race and project cars. 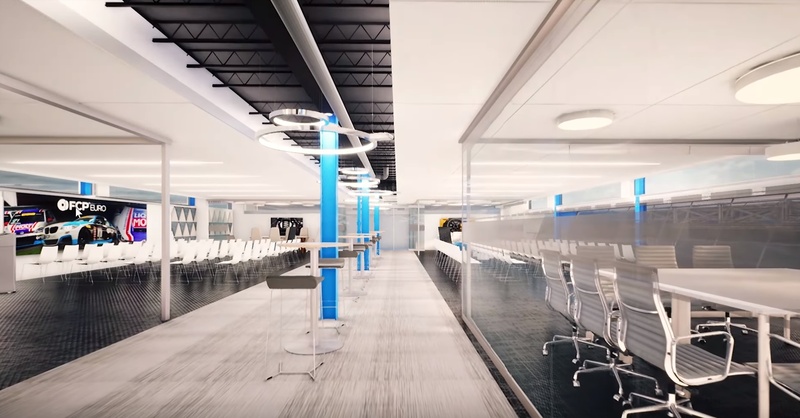 Also, from the photo above, all of the Motorsport facility is able to be viewed from the mezzanine up top, where the aforementioned company meetings will take place. 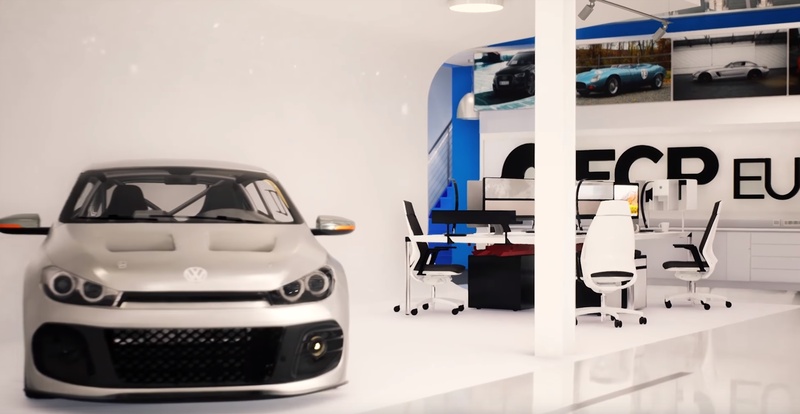 Last but not least in the buildout is a state-of-the-art Video Production studio, equipped with seamless white backdrops for layout customization, and mobile editing bays that can be configured depending on what the space is used for. We'll be able to have two cars sit side-by-side in the space, and can also roll in a semi-permanent vehicle lift to access the underbody for filming DIY videos. Again, all with the focus of improving the customer experience. We want to take this opportunity to thank each and every customer, subscriber, vendor, Facebook commenter, Instagram follower, and family friend for supporting FCP Euro to help us get to this point. We'll never forget our humble beginnings from selling a few parts over the counter in Groton, CT and cannot wait to share our new space with the local Milford, CT community and beyond.